Aged 47, Stephen Scheeler found himself the oldest hire at Facebook. Faced with a swirling hot tub of idealistic, ambitious millennials, Scheeler risked being dismissed as irrelevant. He set off on an ignorance tour – seeking to learn everything he could about the strange universe he had entered. Stephen Scheeler is the former Facebook CEO for Australia and New Zealand. His time at Facebook saw the Australia and New Zealand business grow from start-up to one of the most successful Facebook markets in the world. 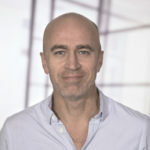 Today, as founder of global advisory The Digital CEO, Senior advisor to McKinsey & Company and executive-in-residence at the Australian Graduate School of Management, he partners with the CEOs and boards of some of the world’s leading companies to help them build world-beating digital strategies, capabilities, culture and leadership.